By NNA Staff on July 27, 2009 - Notarizations aren't always one thing. Sometimes a notarization is both an acknowledgment and a jurat. By NNA Staff on July 27, 2009 - Vision-impaired signers are vulnerable to fraud because they may have been misled about the contents of a document. Here’s what you can do. By NNA Staff on July 27, 2009 - A corporate officer is an agent appointed to conduct business for a corporation. By NNA Staff on July 27, 2009 - A "testimonium clause" is a phrase in certificate wording in which the Notary formally attests to the truthfulness of the preceding facts in the certificate. 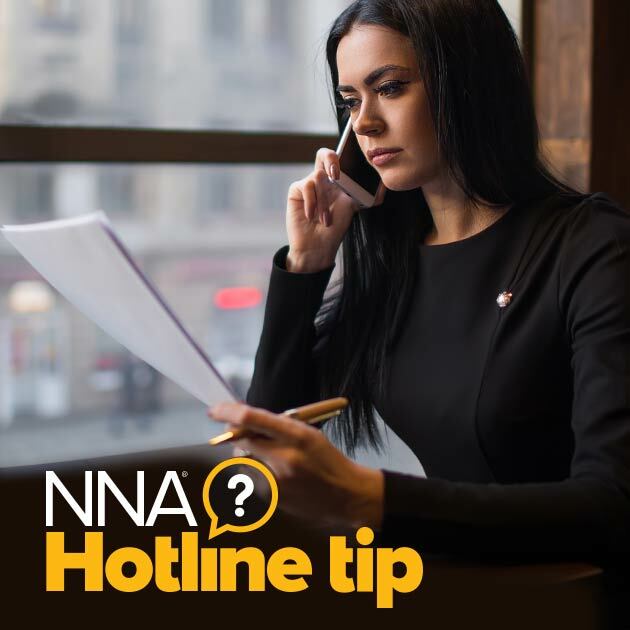 By NNA Staff on July 20, 2009 - In some states, attorney-Notaries have the so-called "privilege" of notarizing for clients without their legal fees being regarded as a disqualifying, beneficial interest. By NNA Staff on July 20, 2009 - Most county recorders and other agencies will accept a properly notarized document from an out-of-state Notary with no questions. But what happens when they don’t? By NNA Staff on July 13, 2009 - An oath or affirmation can be part of another notarial act, such as a jurat, or it may be a notarial act in its own right. Read how to administer one! By NNA Staff on July 13, 2009 - Change is a fact of life, and that is equally true for documents. They may need to be corrected or revised to accommodate the needs of various signers. By NNA Staff on July 10, 2009 - In another example of how easy it is for criminals to steal real estate, a Brooklyn man is facing trial for using forged documents to illegally take ownership of a brownstone in Harlem. By NNA Staff on July 10, 2009 - Gubernatorial hopeful Brian Moran paused before filing his candidacy petition. That’s because he discovered that state law had recently changed to require Notaries to use a seal.